The North and South Nines combine for 6,728 yards from the White tees. 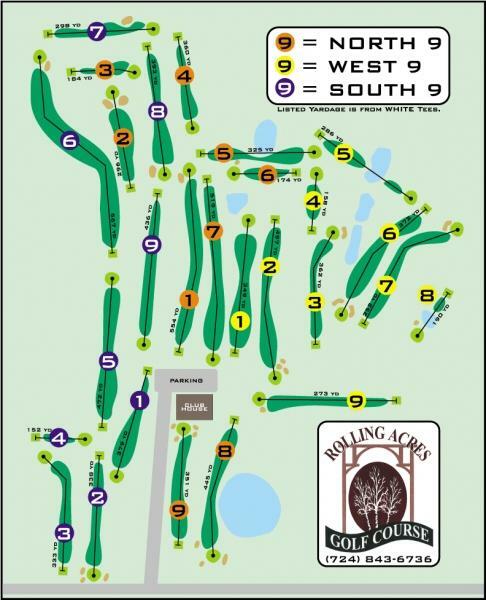 The West Nine is 3,003 yards with water on 4 holes and tree-lined fairways on another 4 holes. Recently added Family Course Tees (North and West) allows family members to play golf from appropriate yardages which builds confidence, enjoyment and the ability to maintain pace of play. For more information on the family course please stop at our Proshop or visit www.uskidsgolf.com.